Hearthstone's villains have united for Rise of Shadows and Shacknews continues breaks down each card leading up to its April release. Today, there's a twist! A Plot Twist! 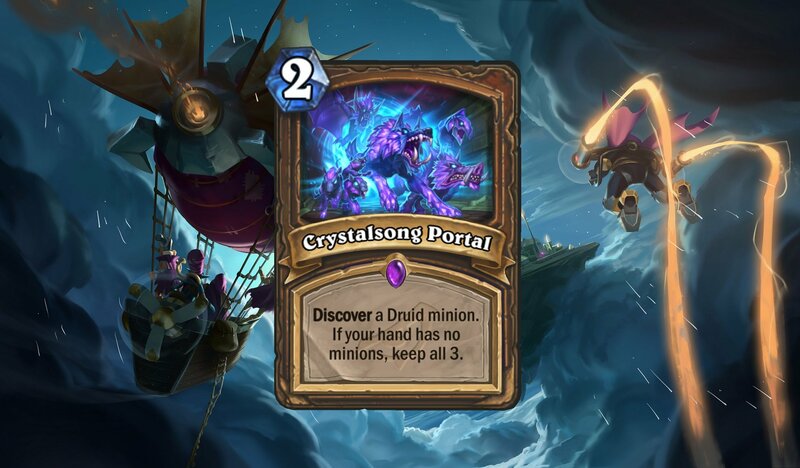 Digital collectible card game Hearthstone is heading into its fifth year and Blizzard has revealed what's next. The Year of the Raven is coming to a close, making way for the Year of the Dragon. The new Standard year will officially begin with the arrival of 2019's first expansion, Rise of Shadows, and that means a whole new set of cards are about to take Hearthstone into a brave new world. Battlecry: Transform into a 2/2 copy of a friendly Deathrattle minion. Analysis: The Priest player is losing an awful lot of Deathrattle minions to the Standard year switch. And yes, that includes the Priest quest. So that takes some air out of the Shadowy Figure's balloon. With that said, there are still some good Deathrattle minions to be found, both in this expansion and in the other Standard sets. The most enticing option becomes using this with Da Undatakah and giving opponents two minions with three Deathrattles to deal with. Make one of those Deathrattles a Mechanical Whelp effect to get some maximum value. Wild players, go nuts. Sylvanas Windrunner is a clear no-brainer here. Summon a minion from each player's deck. They attack each other. Analysis: It's time to D-D-D-D-DUEL! Like Hecklebot, this idea here is to introduce a C-C-C-C-C-COMBO BREAKER element by bringing a minion out from each player's deck. Now one would have to think that for a Paladin player to use this spell, they would want to make sure that their minion wins. Maybe have something poisonous or a Tirion Fordring handy. But what if the Paladin wants their minion to lose? What if the idea is to bring out Hakkar, the Soulflayer and have it get destroyed before the opponent can come up with a counter? Given the Paladin's wealth of healing options, they could probably withstand Hakkar's curse. But of course, that's not the idea in the long run. The idea would be to wait for the right moment and then deploy Prince Liam to turn all of the Paladin's Corrupted Bloods into Legengary minions. It's a risky strategy, because there's no guarantee that Prince Liam won't get pulled out of the deck or that Hakkar won't end up in the player's hand. 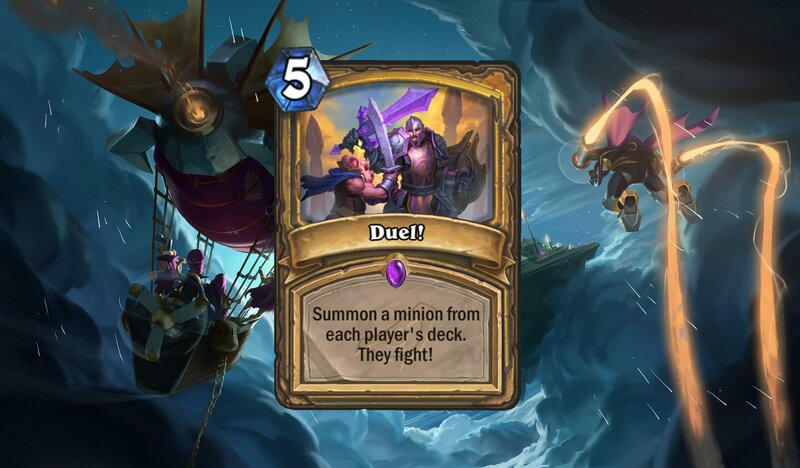 But Duel can be a valuable tool in the aforementioned Hakkar Paladin deck in the right circumstances. Analysis: So what happens for the Standard Hunter when valuable removal tool Flanking Strike is set to rotate out to Wild? You replace it with something that's just as good, if not better. 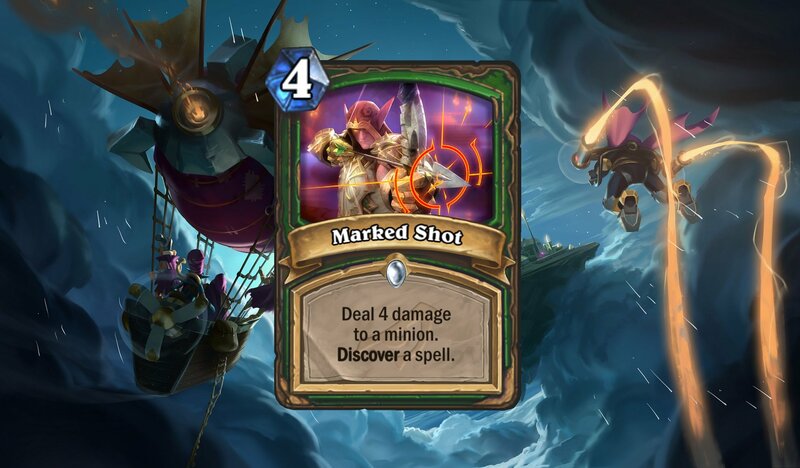 Marked Shot will not only do more damage, but it'll give the Hunter player another spell to play with. That could include more removal tools or something to help bolster their minions, like Dire Frenzy. 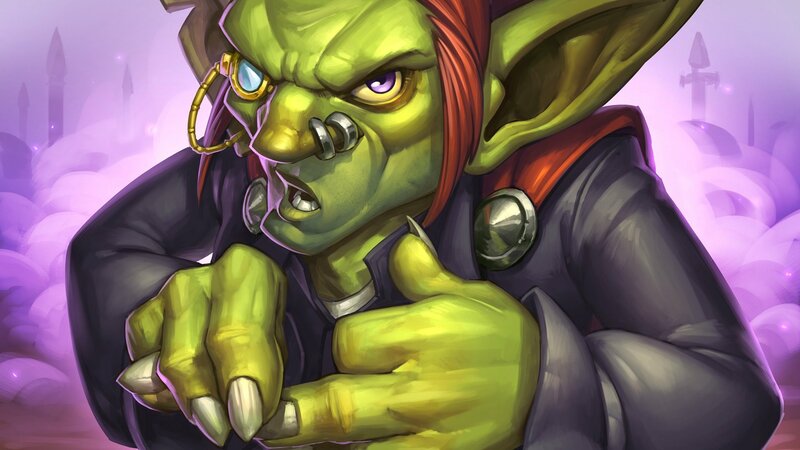 The bonus spell will also be helpful towards the end of the game, with a Zul'jin play offering up an additional spell. At the end of your turn, summon a friendly minion that died this game. Analysis: Here's a crazy new weapon for the Priest player. It's a reimagined Kel'Thuzad effect. The key difference is that it will resurrect any friendly minion that died over the course of the game. 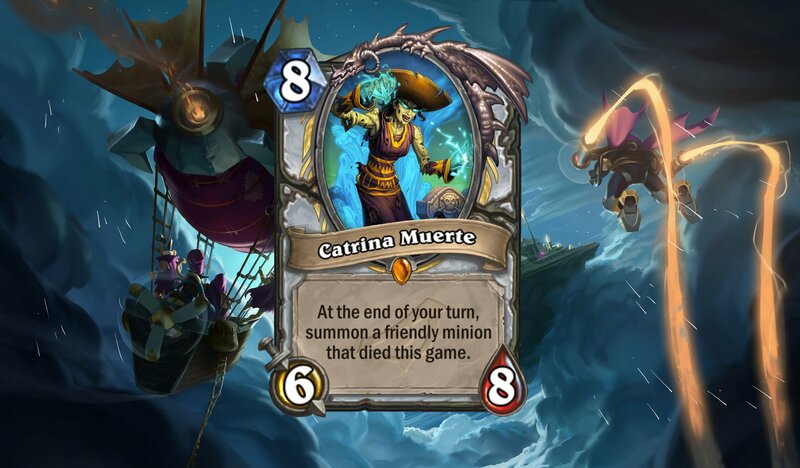 Catrina can be a clever addition to a lot of Priest decks, especially if you can keep turning your opponent's minions against them. Use something like Seance to either make a copy of an opposing minion or even make a copy of Catrina herself to ensure that the minion assembly line keeps on going. For the Wild Priest, Catrina will be a valuable addition to the Big Priest archetype. 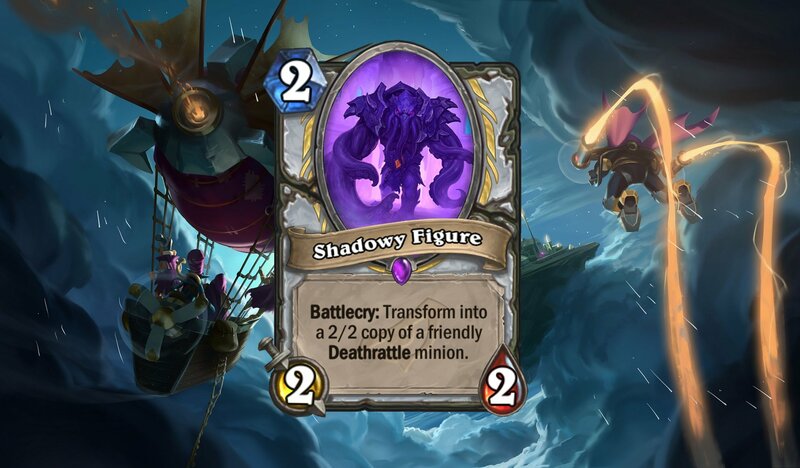 The Priest player can make it so that this brings out something like The Lich King and Obsidian Statue at the end of each turn. Eternal Servitude and Shadow Essence will both be a big help in this deck, setting up Catrina to resurrect something big on Turn 8. 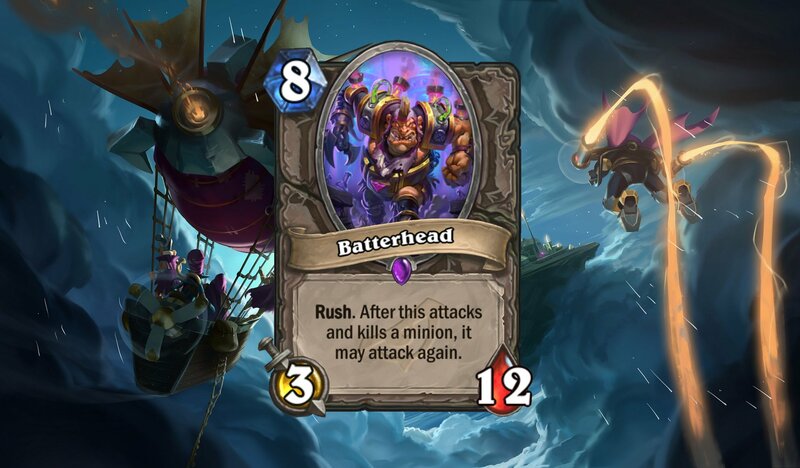 Rush: After this attacks and kills a minion, it may attack again. Analysis: Here's a powerful minion for the Arena player. If the player can get into the late game, they'll find this durable 3/12 big guy waiting for them. It has the potential to take out a multitude of small minions and maybe clear the board, setting the table for a reversal of fortunes. Is there a place for this in constructed play? Yes, there certainly is! Rush Warriors may want to pack this into their deck, especially since it has some crazy synergy with Spirit of the Rhino and Akali, the Rhino. If this gets any sort of stat boosts, it becomes an even more formidable force and a potential way to sweep the opposing board of all minor to moderate threats. Analysis: With Fungalmancer rotating out of Standard, the Zoo Warlock will need a new way to buff up its many minions. So here's Eager Underling. Unfortunately, his effect isn't a Battlecry, it's a Deathrattle. That doesn't seem to bode well for the Zoolock player, unless they can ensure that this effect can be used right away. This is where minions like the EVIL Genius or the existing Ratcatcher can come in handy, by ensuring the Eager Underling is killed and put to good use. Maybe also pack in a Dark Possession, which will only set the Warlock player back an extra mana. Analysis: Here's an interesting value proposition, where the Mage player can find their own spell that costs 3 mana or less. 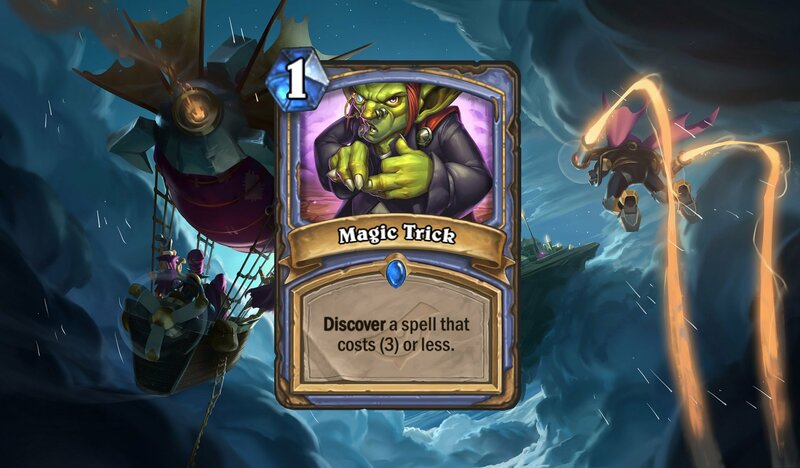 That covers more spells than one might think, including every single Mage Secret. That'll come in very handy and it'll play nicely with the new Mana Cyclone. That doesn't mean it'll be a must-include in every single Mage deck, because lord knows relying on the random is a good road to failure. However, this is going to be an A+ pull off of a random effect, like Blast Wave. It's also going to go beautifully alongside Archmage Antonidas and is almost a sure two Fireballs on a Turn 10. Discover a Druid minion. If you have no minions in your hand, keep all three. Analysis: This is an incredibly high value play for spell-heavy Druid players. And pulling that off isn't as tough as it might sound. Token Druids relying on Wispering Woods and the like can often manage to go stretches without any minions in their hand. Arena players are going to love this spell and it could turn into a life saver near the end game. The issue becomes that it'll rely heavily on a random pool of Druid minions and not all of them will be winners. Although pulling out a random Ironbark Protector isn't too bad. Analysis: One of the biggest winners for the Rogue player so far in this expansion. 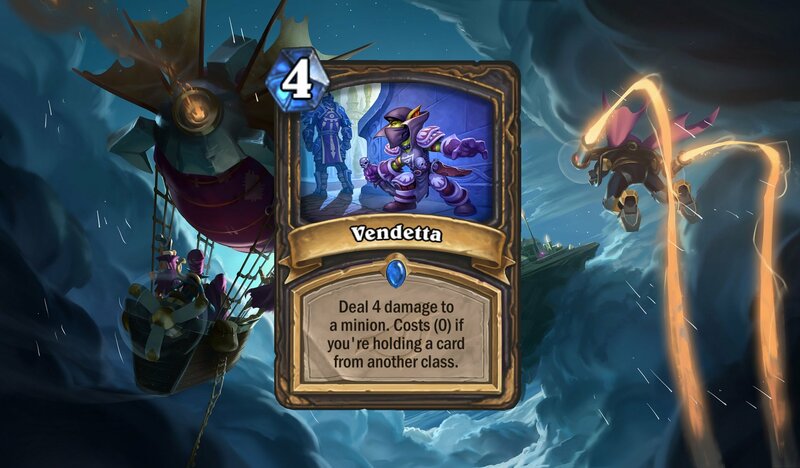 Vendetta by itself is a strong removal tool, but getting it absolutely free when holding any card from another class is a major plus. It should be easy for any Rogue player running Blink Fox or Academic Espionage. A free removal tool not only helps reduce the pressure from the opponent, but it'll also jumpstart any Combo cards. A total winner in just about every way and something that will most certainly become a Rogue staple. Analysis: This is an awfully specific Hunter spell, so if you're packing this in, you'll likely get some good use out of it. At first glance, the minion that springs to mind is Savannah Highmane. But if you're in a lot of trouble, bringing back Spider Bomb for a quick removal still works as a high value play. It should be noted that a lot of the Deathrattle Hunter's best tools are about to rotate out into Wild, so this has more limited uses in the Standard Hunter deck. But it can still be plenty useful, so don't sleep on this one. Analysis: It's a second chance to do things right for the Warlock player. If their opening hand stinks, Plot Twist can offer something of a do-over. It'll shuffle that hand back in the player's deck and draw the same number of cards to replace it. So that's pretty decent, right? But what about the late game? Well, that's where things get fun? Remember back on Tuesday when I said we'd revisit Fel Lord Betrug? Well, it's time to revisit him. Combining him with Plot Twist is potentially bonkers, because if it draws out minions, it puts copies on the board with Rush. They'll die at the end of their turn, so if there are any handy Deathrattles, the Warlock player will get their effects. It's a barnburner of a Turn 10 play and a good way to help clear off the opponent's board. 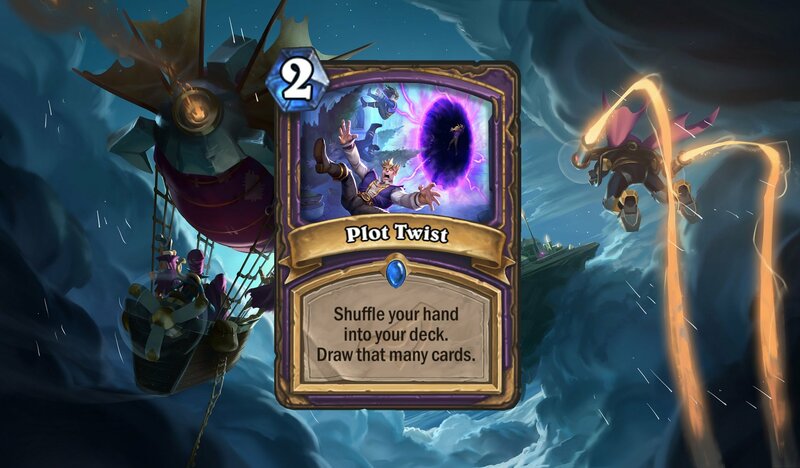 For its potential in both the early and the late game, Plot Twist is a huge thumbs up and one of the strongest Warlock spells in this expansion.